It is with great sadness that we, the Bishops of Alaska, share with you the news that the travel company we have used for our World Youth Day Pilgrimage (ITC Tours, Las Vegas, NV) announced this past Monday that they intended to file for bankruptcy. This company has made complete arrangements for us and for many other dioceses for six successive World Youth Days (WYD). As is the practice for pilgrimages, all payment was due 60 days prior to departure. The Alaska Catholic Conference of Bishops, (ACCB) had made those payments on behalf of the participating youth who had paid for this event. Unfortunately, with this pending bankruptcy, none of these funds are available. While we will enter a claim in bankruptcy court, it will take years to see whether we recover anything. We know that between 15 and 20 other dioceses have been affected by this pending bankruptcy. In Alaska, a total of 50 participants coming from all three dioceses have registered and paid for World Youth Day. That amount totals $186,000. We have not been able to determine whether any deposits for our arrangements have been made other than a relatively small deposit for airfare. We believe $181,000 has been lost to the pending bankruptcy. A number of dioceses have decided to cancel their trip. 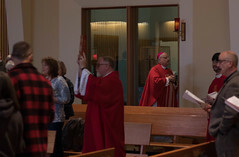 We Bishops in Alaska have agonized over whether to scrap the trip or salvage it. While we can fund the trip from our reserves, those reserves will have to be replaced over time. Throughout our dioceses we have worked to show our young people they are important and deserve our care and support – especially in the face of adversity. These young people have worked hard fundraising to participate in this pilgrimage that includes Mass with Pope Francis, vigil, catechesis and meeting Catholic Youth from around the world. 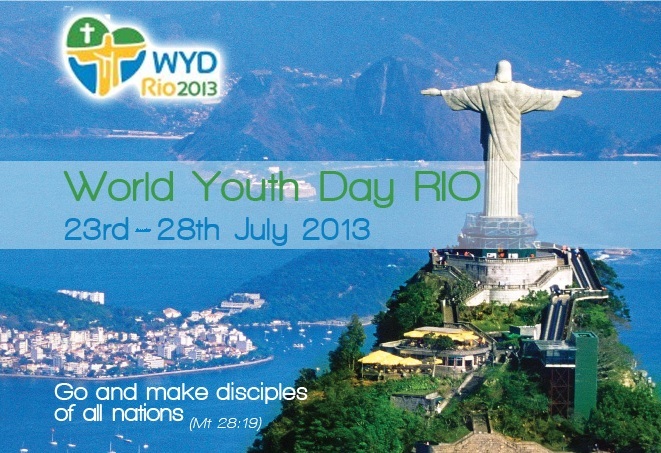 In the past, WYD has been life changing for many of our Catholic youth. In looking at whether or not to continue this pilgrimage, we bishops faced a hard choice. We could cancel the trip or try and continue. Canceling the trip would have imposed upon us the moral obligation to repay the money the youth had already paid. Either decision would have us face a large financial obligation. As we looked at making new arrangements over the past several days, we discovered the cost of rebooking the travel arrangements would be about $10,000.00 more than refunding the participants. After hearing from some donors that they would be willing to contribute to continuing with the pilgrimage, we decided to continue forward. The final deposits on airline tickets and hotels are due in the next 5-7 days. Collectively the dioceses will be loaning $200,000 to the ACCB to cover the immediate costs. 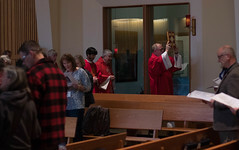 The individual dioceses can continue to function normally without these reserves, ultimately the reserves of each diocese must be replenished. This will come through targeted fundraising. In making this decision, we bishops want our young people to know they are an important part of the Church. They have put their trust in us through their hard work and dedication and we feel we must honor that trust. We believe that our generous supporters will respond to our request for help. In the unlikely event that donations supersede our expenses, we will use that money to support statewide youth events like the Alaska Catholic Youth Conference. This address will be on each dioceses website for your convenience.